ARLIN REPORT THOUGHT OF THE DAY: Hillary’s statements of convenience! When Hillary Clinton tries to convince We the People…Donald Trump is a failing businessman, she questions his wealth, he may not be a billionaire. Then as she did in last nights debate: “Undocumented immigrants pay more federal taxes than a billionaire”. He is and he is not; whichever is convenient for Hillary for that almighty vote. By the way that would only be income taxes; Trump does pay other taxes. And Hillary, stop acting like you pay taxes you yourself are not required to pay. Your hypocrisy shines! You also like to use the phrase “undocumented immigrants”, that is the same as ILLEGAL IMMIGRANTS! Hillary answered the open borders question by flipping the conversation to Russia and Putin! What? Nice way to avoid the question………not really, it fooled nobody! Hillary avoids answering to the Wikileaks releases by blaming Russia for espionage, setting up and working with Wikileaks on hacked/stolen info that Trump should disavow. Hillary argues Putin’s unethical acts when it damages her, so she doesn’t have to answer to her own corruption. Hypocrisy at the highest level. Concerned looks…… Who do they thinks winning? Was Trump trying to be the kinder, gentler presidential candidate? The Donald let the audience and Hillary know he had a garage door size opening to get nasty and hammer Clinton, but wasn’t taking it. It wouldn’t be appropriate to bring up the Clinton (Hillary as the enabler to Bill) sexual and corruption history then and there, but that door remains open for the next two debates. That said, Donald, about those taxes returns? Say your being audited and that upon the advice of your Lawyer(s) you will release them when the audit is complete; then shut up. It doesn’t matter that the IRS says they can be released. You take the advice of the attorney; period. Then, with Hillary’s remarks that you are hiding something, your real wealth or lack of contributing to the charities; answer with: ‘My returns haven’t been destroyed, they haven’t been burnt or DELETED; they are still in form to be reviewed; unlike your (Hillary’s) 33,000 emails that were deliberately deleted to hide and keep Americans from viewing. Everytime Hillary Clinton opens her mouth about something negative about Trump she opens the door for a response against her own corruption. Trump had to be tempted. Nothing was said about the foreign donations, nothing said about donations she accepted in return for positions, ambassadorship. There are many areas Trump can beat up on Hillary. He only touched on them. Maybe he believes that is all he needs to do; we’ve all heard them time and time again. Maybe he believes he just needs to refresh our minds; not harp on it. Trump also understands he can still raise his hammer in his rallies; say what he couldn’t in the debate or thought was inappropriate. 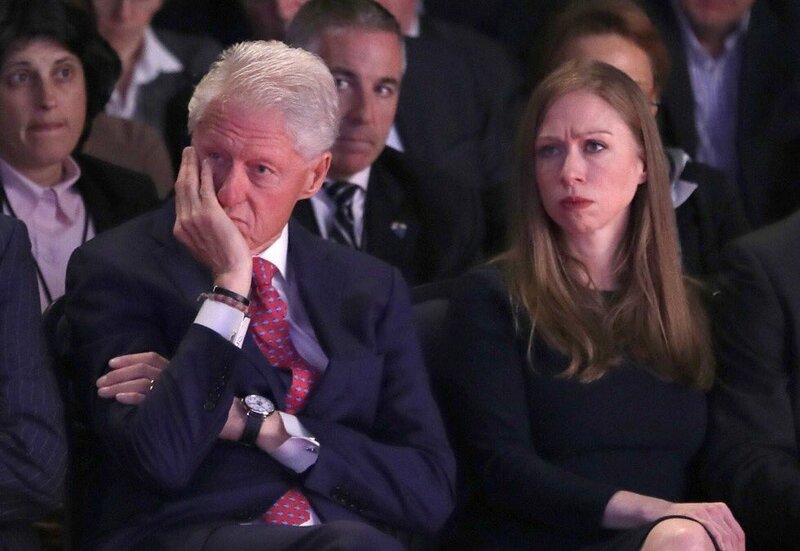 He told Hannity he backed off in respect to Chelsea………. Chelsea won’t be sitting front roll at his rallies.